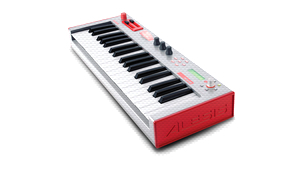 KitMonsters – Alesis Micron Synth. The music makers’ guide to making music. 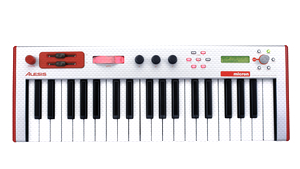 The Alesis Micron Synth is an eight-voice analog-modeling synthesizer. It is small in size, but packs a punch, containing a powerful sequencing section with phrase, step, and drum sequencing, an arpeggiator, and stereo effects. It is popular for both live and studio use, and has two multi-mode filters, three envelope generators, and two LFOs. The Micron has 24-bit audio outputs and inputs via balanced connections. Each of the Micron’s voices contains two filters, and also two LFOs, with rate, depth, shape, and tempo sync, and three envelopes - Amp Envelope, Filter Envelope, and Pitch/Modulation Envelope. It has over 500 preset programs. 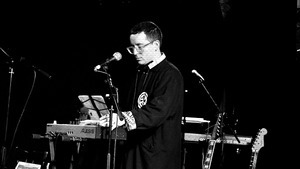 Artists using the Micron include Alexis Taylor from Hot Chip.